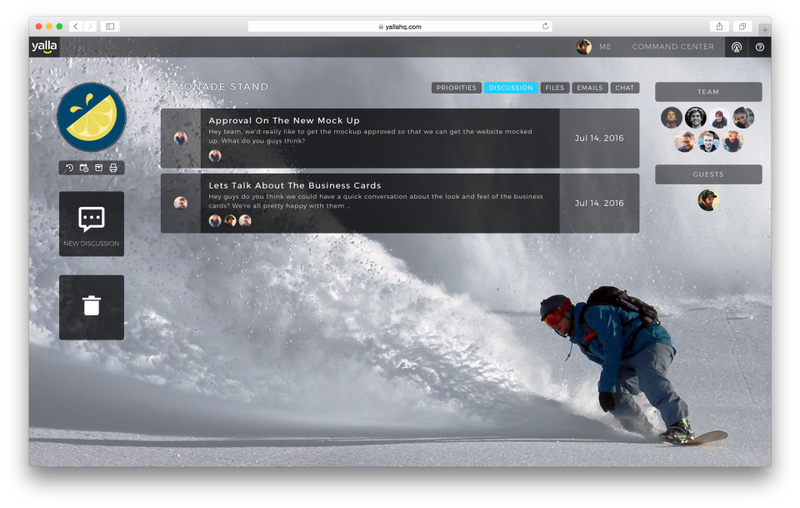 The most simple to use task and project management system built by people who are obsessed with teamwork. Yalla helps growing teams keep it all together by minimizing the amount of things that slip through the cracks. 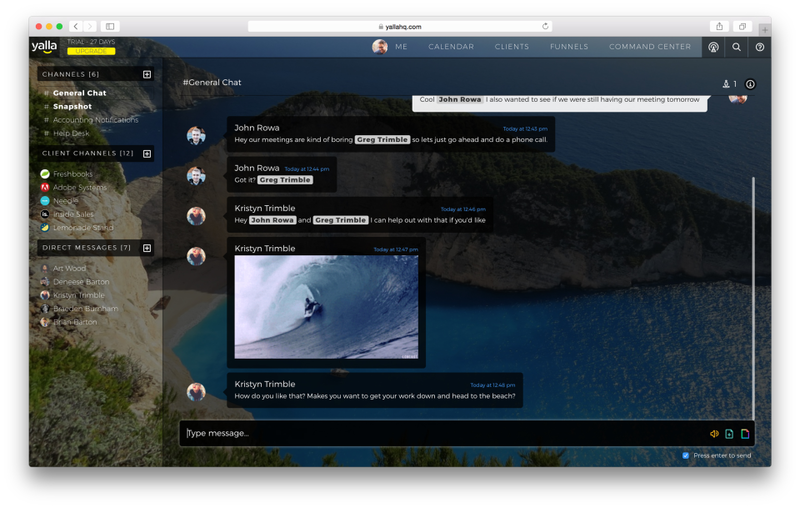 It has task and project collaboration, team chat, centralized discussions, easy client management and client collaboration, process and workflow management, and allows for easy prioritization of work on the fly. Yalla is free for up to 10 people with no credit card required. Pros: Very user friendly. Great layout. Even the technologically challenged individuals in my office are able to navigate their way through the software. Overall: Yalla has helped my office to become more productive through task management, time management and team collaboration. The customer service reps have been more than helpful as we learn to utilize this software to its fullest capacity. Recommendations to other buyers: Play around with the software and you will find plenty of components that will make your operations more efficient. Pros: Simple and quick to set up and utilize. 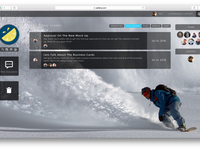 Organize your teams, assign tasks, and off to the races! Simple pictures and icons allow me to move priorities and re-assign resources with a drag of my mouse. Cons: I can't wait for it to integrate with my accounting software so my time and billing becomes as effortless as project management has. 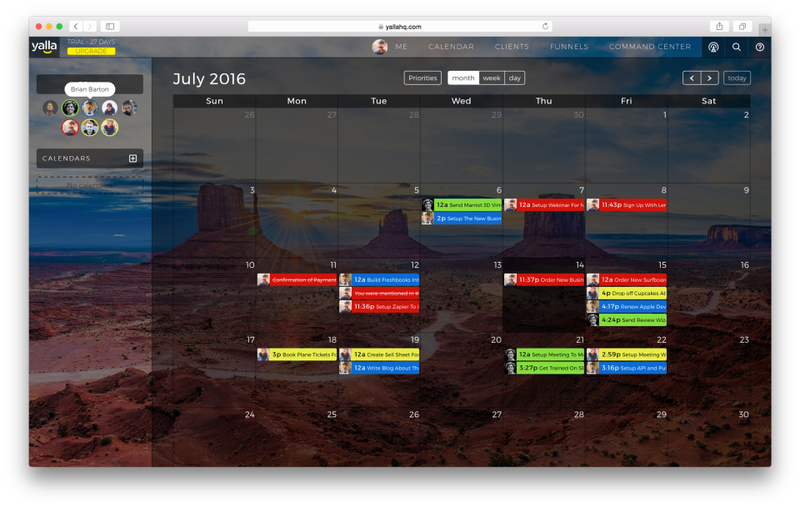 Overall: This product has changed the way I manage my staff and plan projects. Now I am able to focus on what is most important to my clients at any stage of a plan. Understanding and seeing what my team is working on allows me to measure productivity and profitability like never before. Recommendations to other buyers: Give it a few weeks for everyone to commit to a new way of documenting work and receiving instruction. Make sure your team has it running on their mobile devices and your late night brainstormers will produce like never before. Comments: As a freelance designer and former creative director, Gameplan has been an incredibly valuable asset for me. I constantly juggle several projects, often working through a large set of varied tasks throughout the day. 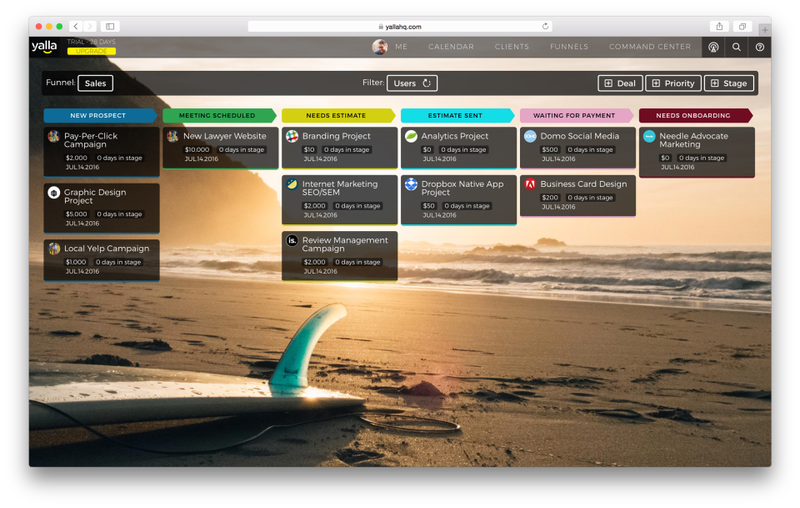 Gameplan helps to track time (both billable and non) specific to clients, create priorities, tasks within priorities, time devoted to tasks, take notes and share discussions. 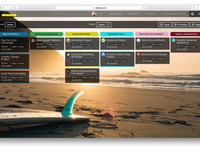 All items can be shared with and collaborated on by your team, or set for just yourself. Priorities can be re-ordered easily. This is helpful when you need to quickly express a shift in what needs to be taken care of as client's requests or deadlines change. Information is organized for easy reporting by month, client, total hours, etc. I am able to reliably track my hours for not only my clients, but for myself. It's been very revealing and has taught me a good deal regarding my own time usage. Tech support is speedy and helpful in solving any issues that I've experienced. In short, before using Gameplan, time tracking and task prioritization monopolized too much of my day. Now it's a snap. I can't imagine working without it. Cons: I have not one con so far. Everything has been smooth. 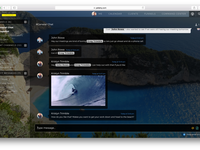 Pros: Yalla is simple yet customizable and includes every feature I've needed thus far! Anytime our team is working on a project we've been able to ensure each item is being met or stayed on top of to ensure it gets done. I personally love the chat feature so that the team stays current with what's going on. Cons: I wish Yalla would allow more than 10 users for free but I do understand they are a business so we will probably upgrade soon. Comments: Great that you can try the system out for free for up to two people, it allows you to get a taste for its capacity. Love the tiered structure. You create a project, then have tasks for each project that you can check off as they are completed. This really helps me keep track of where I am at in the process. I am able to easily print off my projects and their associated tasks. This is a huge pro, as I refer to this document in meetings with my boss. I tried Trello, and it did not have this important capacity. I have heard people rave about its time management capacity. This is hugely helpful when tracking time spent on specific projects. The software is fantastic. Gameplan has helped our employees stay more focused on their priorities. Comments: The biggest con that I have found from implementing this Gameplan software is that the employees struggle to be accountable for the priority of the work that they perform each day. Having said that, Gameplan software really has helped management to be able to better monitor and manage the tasks which need to be performed. It is so easy to assign tasks and follow up to see if they have been completed By using the Ganeplan software. Comments: Our firm has been using Gameplan for a couple of years now, and we couldn't live without it. It allows us to stay on top of all our tasks and priorities, and protects us from having things slip through the cracks. We are able to make sure our staff is working on the right task and completing jobs in the proper order. 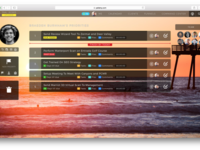 I fully recommend Gameplan to any firm looking to prioritize and manage their jobs. Comments: If you need to keep your self on schedule or find your self keeping a priority list this software is for you. It does the work for you. Never miss a deadline again. Other co-workers can see what's on your daily agenda too and can help with tasks and can move priorities as needed. Don't know how I lived with out it. This program helps keep me focused on my priorities. It also allows my manger to change them! Comments: It's very easy to use. Adding to my list, moving them around to change the order. They can then be passed to the next person who will work on the project. 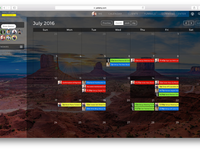 It allows notes to be added for the next person, files to go with the task, due dates, and status changes. 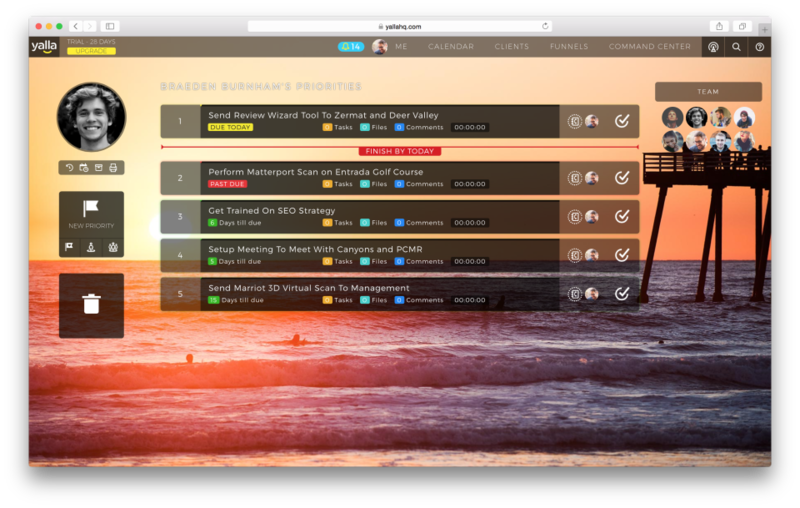 Comments: I've looked at a lot of PM / productivity tools and love that Gameplan is all about the list of priorities. Because there is only one stack of tasks, you know what to work on first ... always. Comments: I love Gameplan. I use it to plan for our church events, manage staff & volunteers, manage my work load, and even set my shopping list.